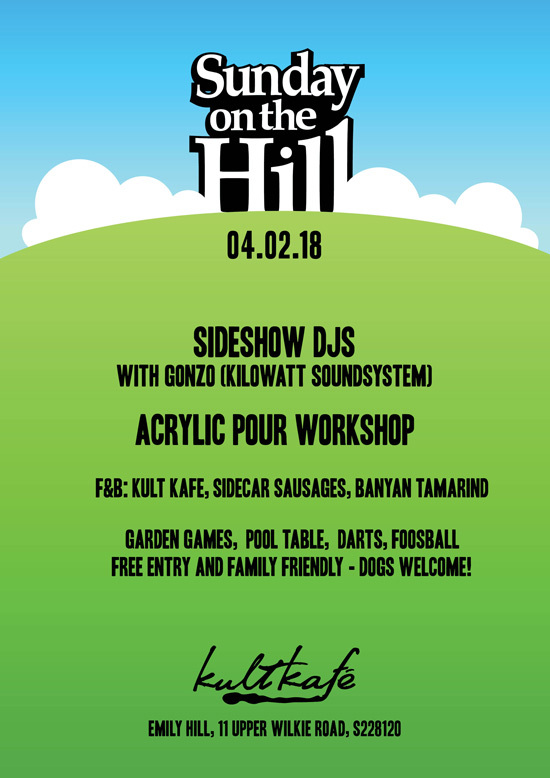 Held on the first Sunday of every month, Sunday on the Hill is a laid-back daytime get-together in the gardens of Emily Hill. Experience an afternoon of fun getting your hands dirty with acrylic pouring! Let your child get in touch with their creative side and have a great time creating incredible abstract art with their favourite colours! Suitable for children aged 4 to 16. Artist aprons and gloves will be provided. If you are driving, we recommend parking at Little India MRT or Wilkie Edge to avoid disruption as there is limited parking at the venue.